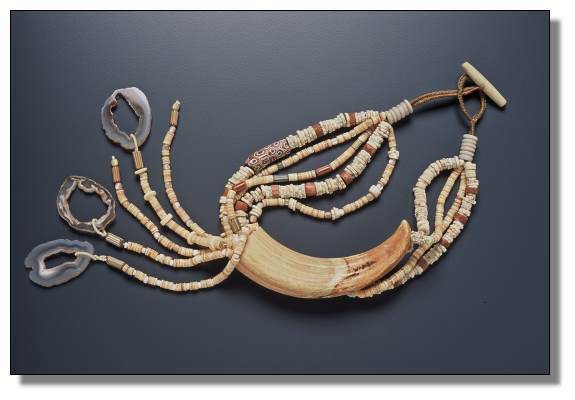 The beautiful tusk curves around the neck, Brazilian geode slices dangle from a fall of melon heishi at the center. The geodes are called "ojos" or "eyes." Enjoy the view through these eyes of the earth!